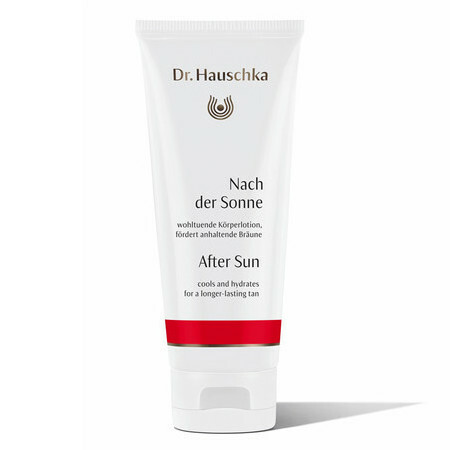 Dr. Hauschka After Sun moisturises, cools and refreshes your skin after a day in the sun. With Carrot, Rosehip and moisture-rich extracts of ice plant and Quince Seeds, this fast absorbing lotion will leave your skin feeling soft and smooth. Despite using sunscreen, your skin can still feel dry and irritated so with Anthyllis and Marigold to help soothe sun-stressed skin and Almond Oil, Shea Butter and Rose Wax to provide intensive moisturising care, your skin will look and feel revitalised and with on-going use your tan will last longer. 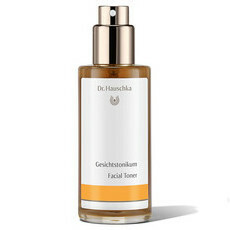 Dermatologically tested for sensitive skin. Certified Natural, non GMO, and Sustainably Sourced. Certified Cruelty-free. Water (Aqua), Rosa Canina Fruit Extract, Pyrus Cydonia Seed Extract, Alcohol, Glycerin, Prunus Amygdalus Dulcis (Sweet Almond) Oil, Butyrospermum Parkii (Shea Butter), Daucus Carota Sativa (Carrot) Root Extract, Mesembryanthemum Crystallinum Extract, Anthyllis Vulneraria Extract, Prunus Armeniaca (Apricot) Kernel Oil, Calendula Officinalis Flower Extract, Cetearyl Alcohol, Hectorite, Beeswax (Cera Alba), Rosa Damascena Flower Wax, Lysolecithin, Simmondsia Chinensis (Jojoba) Seed Oil, Xanthan Gum, Fragrance (Parfum), Linalool*, Citral*, Citronellol*, Limonene*, Geraniol*, Farnesol*, Benzyl Benzoate*, Propolis Wax. 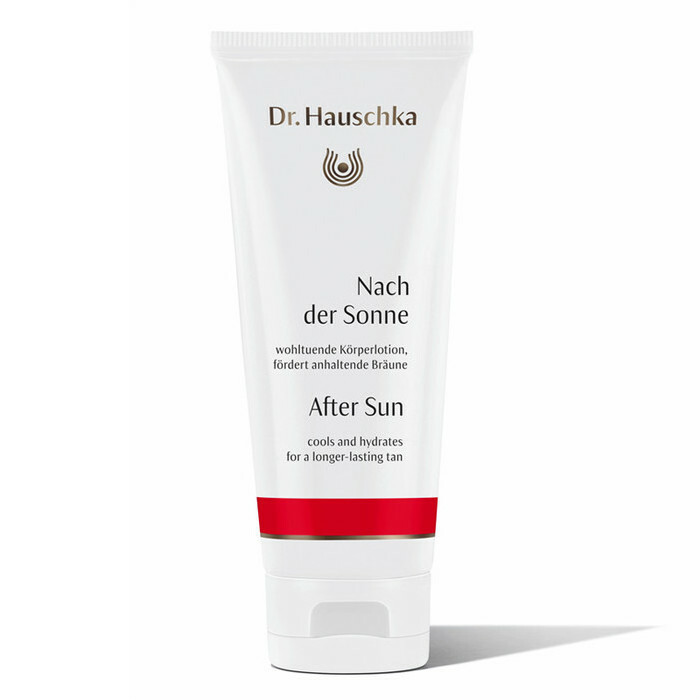 Apply After Sun generously to your skin after sunbathing and continue use for a longer-lasting tan.